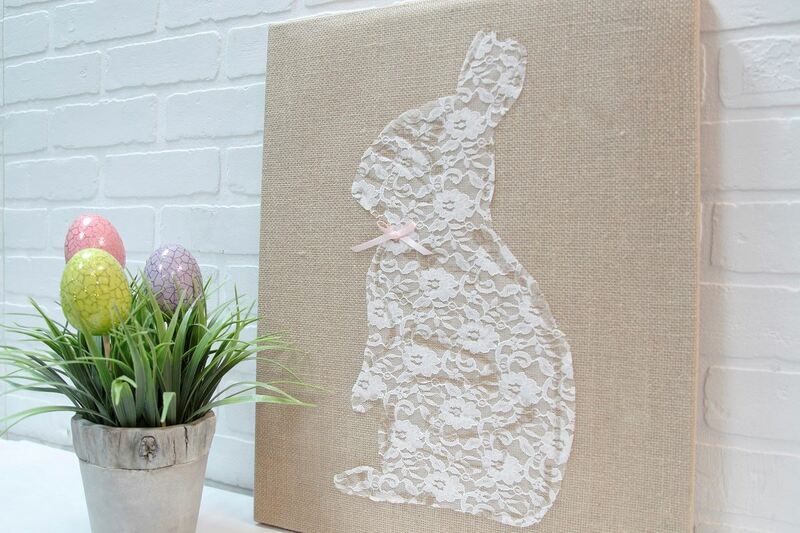 Spring is here, and what better way to hop into it than with this adorable Aleene’s craft?! 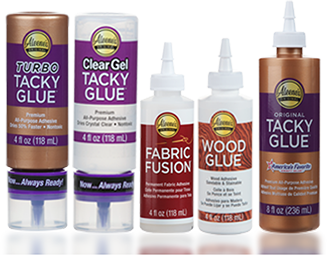 Aleene's Fabric Fusion is perfect for so much more than just adding lace to your tennis shoes or gluing fabric together; it's also great for for creating beautiful fabric canvases. With just a few items and Aleene’s Fabric Fusion, you can have a beautiful and festive new spring craft to display in your home. 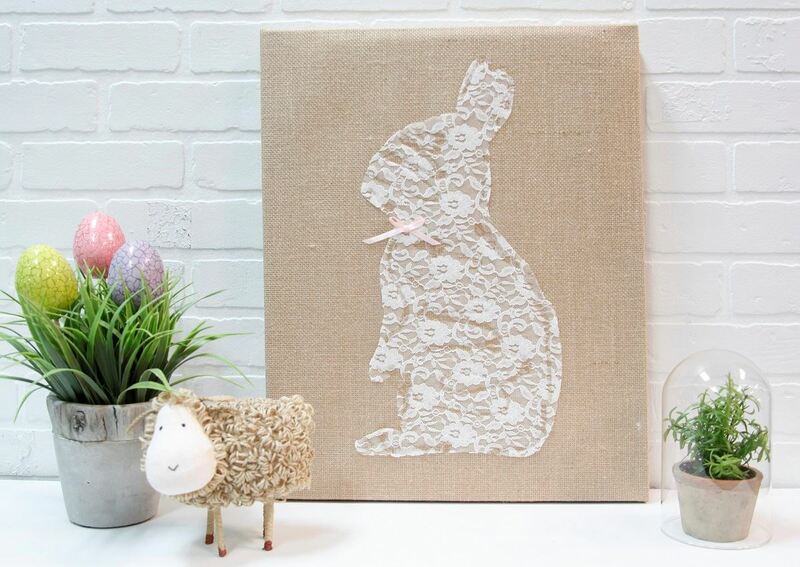 Start by printing out your favorite bunny design and placing it underneath the swatch of lace. 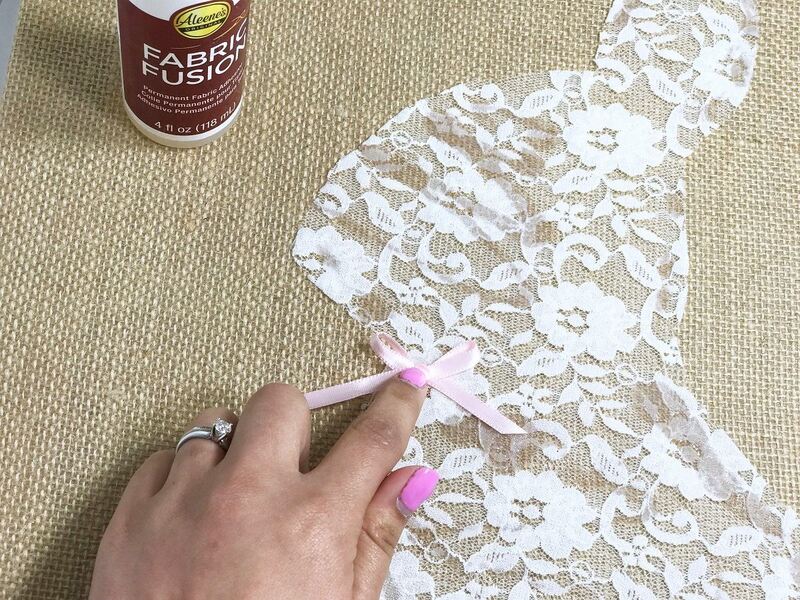 Use sewing pins to secure the lace over top of the design, then use scissors to cut along the edge of the design. 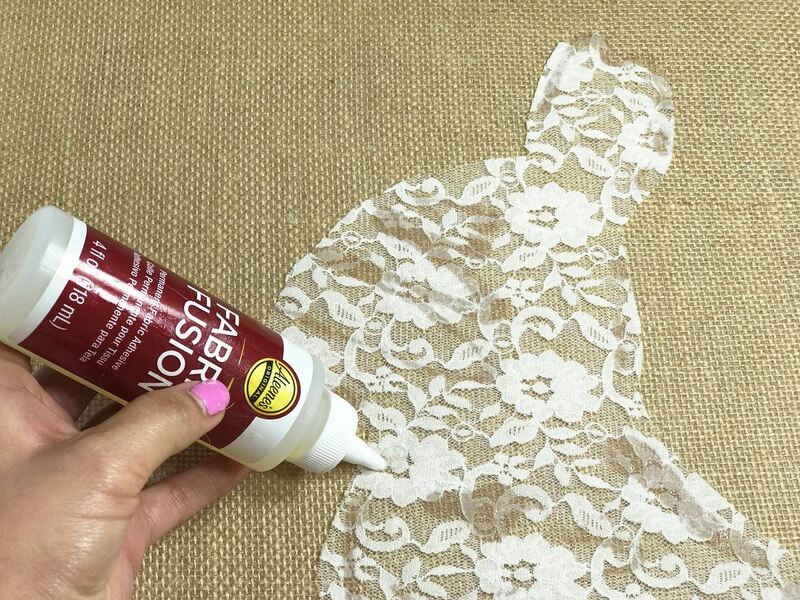 Place the lace bunny cutout over the burlap canvas to determine your perfect placement, then use Aleene’s Fabric Fusion to glue it in place. 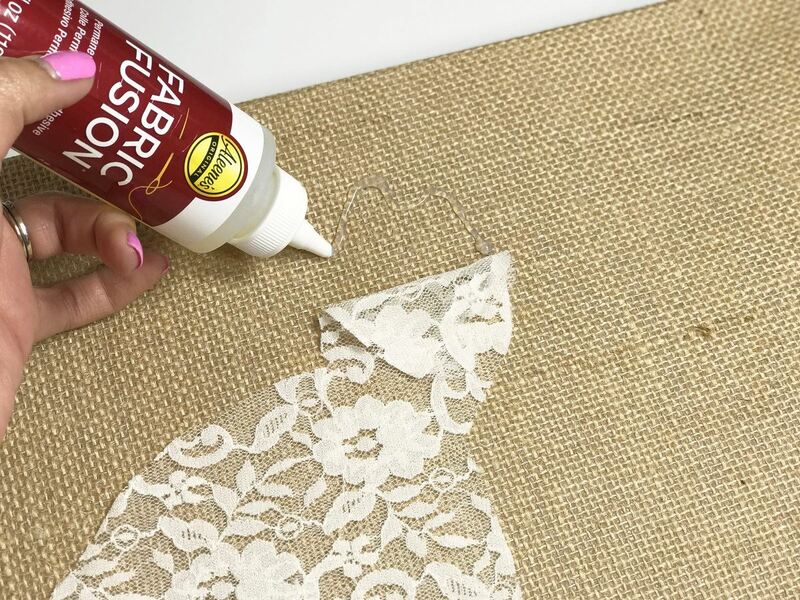 Tip: Less is more when it comes to Fabric Fusion, so apply thin lines of glue to the underside of the lace, or use a paintbrush to brush a thin amount over the backside of the lace before pressing it in place on the burlap. Add a small amount of glue where you would like to place your bow. 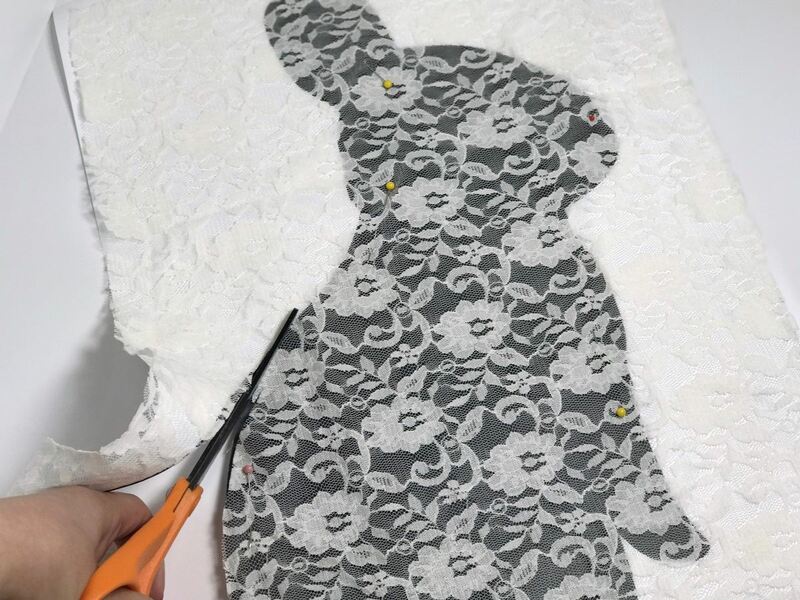 Cut a strip of ribbon, tie into a small bow and press in place where you added a dot of glue on the bunny’s neck. Let dry. 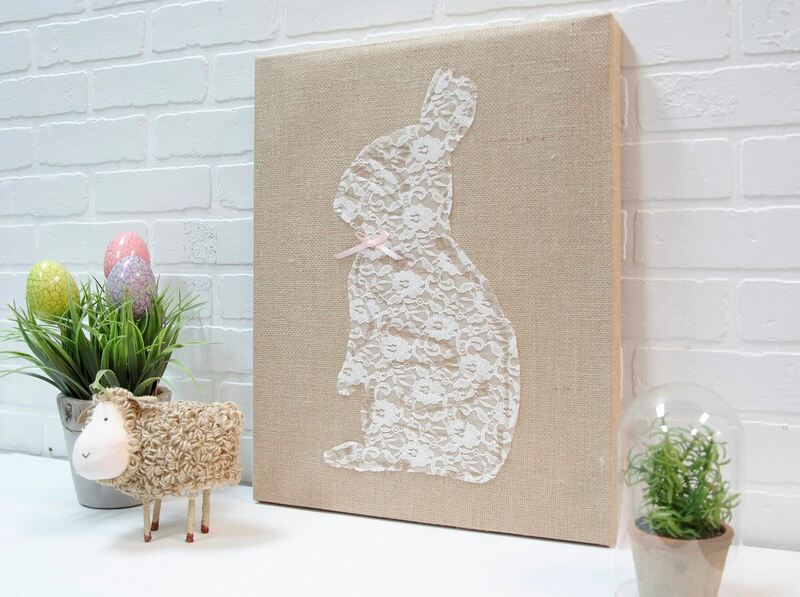 And in just a few simple steps, you'll have yourself a super cute, shabby chic Easter bunny canvas!